After two weeks and 8000 kilometers of gruelling competition full of a thousand challenges in all kinds of conditions, Monster Energy Honda Team have completed the 40th edition of the Dakar Rally. Kevin Benavides proved himself up to the challenge, earning a well-merited 2nd place with only +16:53 minutes to the winner on the final podium of the world’s toughest rally. The final SS14 was resplendent with the colours of the Team, who claimed the final stage victory at the hands of Argentinean rider Kevin Benavides, sealing the overall runner-up spot in the process. Another success for the team in the Dakar Rally, equalling the same feat of Paulo Gonçalves in 2015. 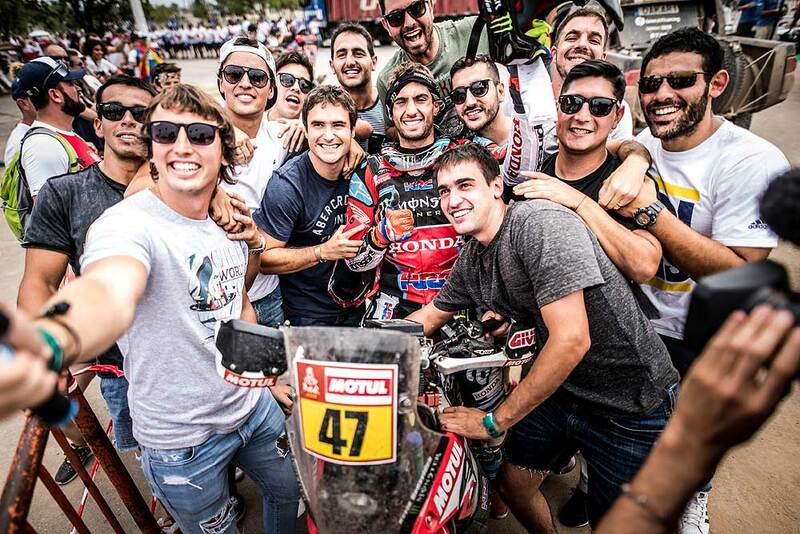 "It’s been a great Dakar," said the Argentinian. "I’m really happy and I felt great. It’s been really tough. We fought right up until the end. We always had a great strategy. We were always on the podium and were even leading the race at one point. It’s a shame about what happened in SS10, but we have to keep looking forward. We’ve finished 2nd overall and we have won the final stage, which we knew we could." 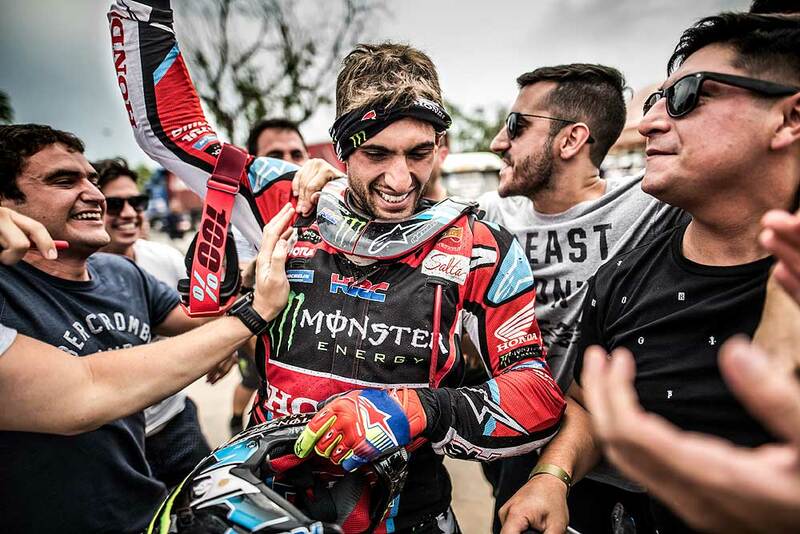 After a last-minute injury had forced Gonçalves to retire, the Portuguese rider’s replacement in the race, youngster José Ignacio, proved to be one of the revelations of the rally. The Chilean rider regularly posted top fifteen places before finishing in 10th overall place. "We set out to ride a good, intelligent race. We started well in Peru, had a complicated stint in Bolivia and then were able to pull things back in Argentina," said Cornejo. "We went from 7th to 15th before finishing in 10th final position. This was something that we had dreamed about and planned for a few years now. Finally we have fulfilled our aim. I’m really pleased to have achieved it with the Monster Energy Honda Team and I’m really happy that they gave me the chance to do so. It wasn’t easy, but we finished the race without problems,” said Cornejo. Raul Castells summarized the Event: "We have finished this really hard Dakar which has put everyone to the test and clinched the 2nd final position with Kevin Benavides who, in addition, won the final stage. I want to congratulate him for his success and his work and also the whole team for making it possible, since behind the riders there is a large group of professionals working very hard. And not only has Kevin achieved an excellent result, but we must also highlight the tenth final position of Nacho Cornejo, who has strictly carried out the role entrusted upon him. Thanks also to Joan Barreda for having tried so hard until the end and also to Mika Metge and Ricky Brabec for their important work," he added.